On Thursday, leading lawmakers from country’s central bank will meet in London to decide what happens next with interest rates and the economy as a whole. 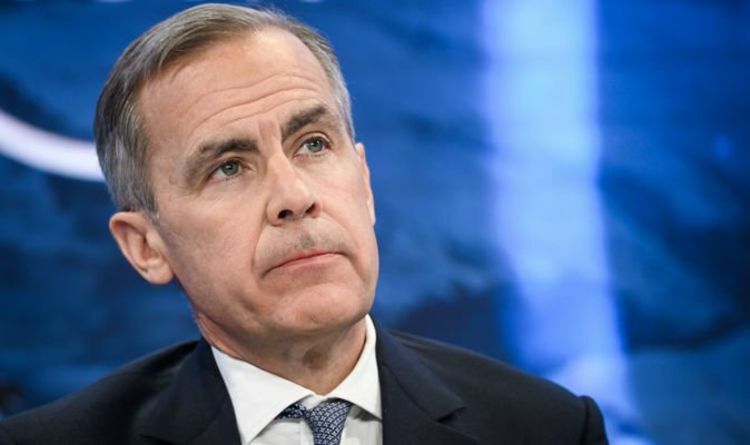 Rates are likely to remain steady at 0.75 percent, although any dovish comments from BoE Governor Mark Carney may dampen sentiment in the pound. Paul Dales, of consultancy Capital Economics, agreed the Monetary Policy Committee (MPC) will likely vote unanimously to leave interest rates as they are. Investor eyes will be fixed on the BoE’s updated forecasts for the UK economy, particular as Brexit talks between the UK and European Union enter another crucial phase. The quarterly Inflation Report could begin to highlight whether policymakers will be keen to increase rates once a Brexit resolution is found. It could also show whether the central bank’s position has changed following last week’s decision from the US Federal Reserve to leave rates unchanged at 2.25-2.5 percent, citing slower growth in China and the Eurozone. This came despite the Federal Reserve putting traders on notice at the end of last year to expect further US interest rate increases in 2019. Some economists believe the MPC won’t deviate away from its current position, claiming “limited” and “gradual” tightening will be needed to keep inflation at its two percent target for now. But others think the BoE could perform a dramatic U-turn like the Federal Reserve and adopt a more dovish slant, reflecting weakening activity in the UK and an increasingly volatile global backdrop. The BoE is likely to have been spooked this week after a survey suggested Britain’s economy is at risk of stalling as Britain’s exit from the European Union nears and the global economy slows. A closely watched gauge of the world’s fifth-biggest economy, the IHS Markit/CIPS UK Services Purchasing Managers’ Index, fell to 50.1 in January from 51.2 in December. This was its lowest level since July 2016 and barely above the 50 mark that separates growth from contraction. New orders fell for only the second time since the financial crisis, while employers in the services sector cut jobs for the first time since late 2012 – the last time Britain flirted with recession. IHS Markit chief business economist Chris Williamson said: “The latest PMI survey results indicate that the UK economy is at risk of stalling or worse as escalating Brexit uncertainty coincides with a wider slowdown in the global economy.